Item # 278384 Stash Points: 1,198 (?) This is the number of points you get in The Zumiez Stash for purchasing this item. Stash points are redeemable for exclusive rewards only available to Zumiez Stash members. To redeem your points check out the rewards catalog on thestash.zumiez.com. 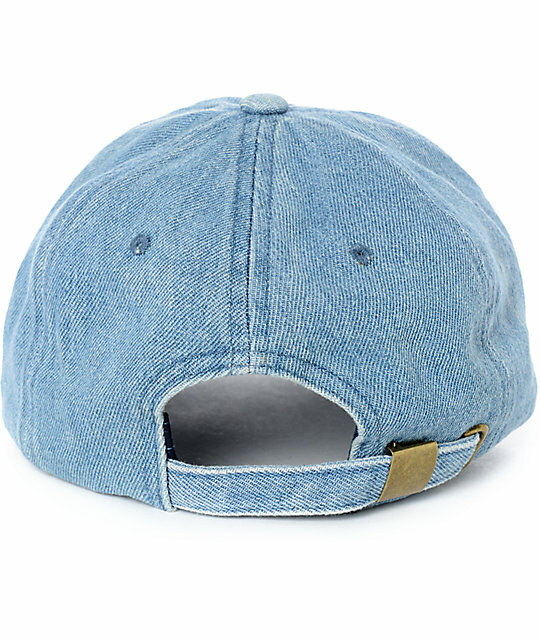 Get an accessory you can wear anytime, anywhere - the Trifecta Denim Baseball Hat from Ninth Hall. This unstructured cap features a 100% cotton construction and a strapback sizing piece with gold-toned hardware. Completed with a light wash blue jean denim fabrication for an easy-going look. 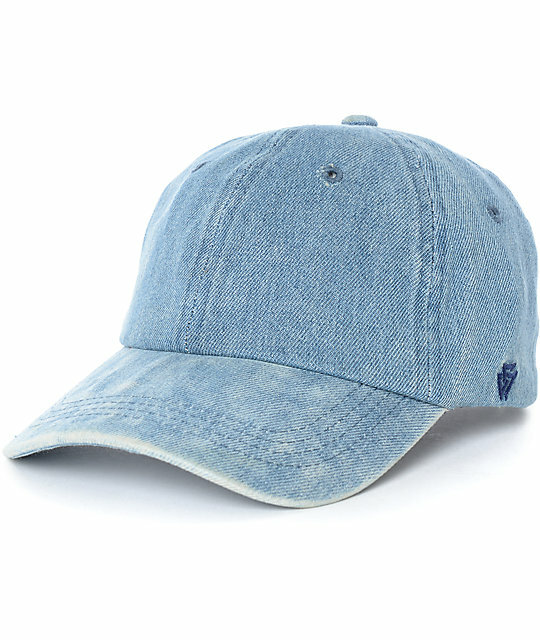 Trifecta Denim Baseball Hat from Ninth Hall.